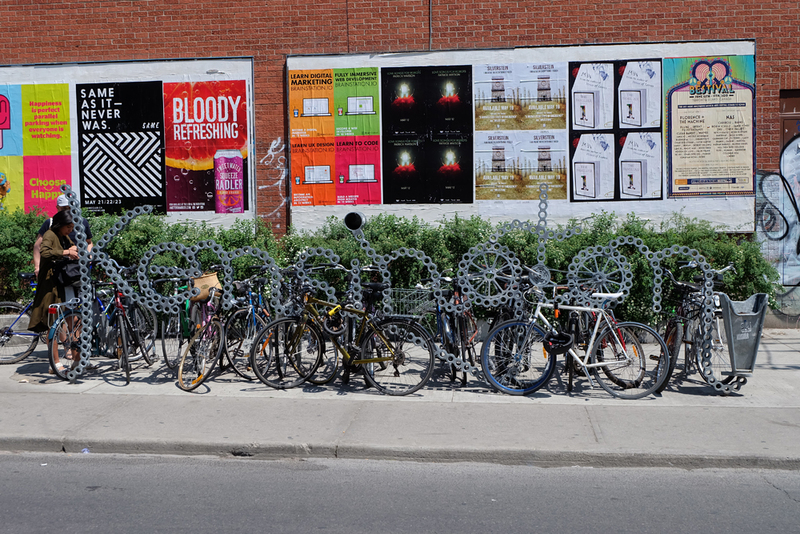 Kensington Market is probably one of the hipper areas of the city. The multicultural area is centrally located just west of Toronto’s downtown core bordered by Spadina Avenue, Dundas Street West, Bathurst, and College Street. 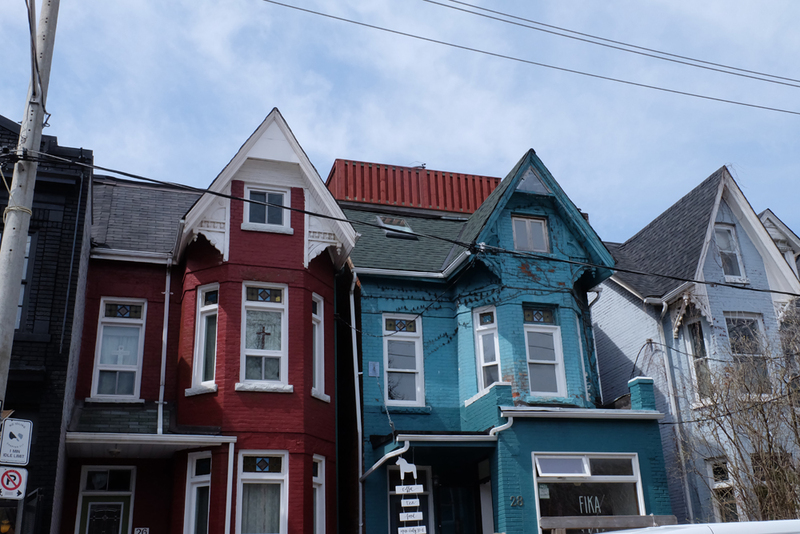 This neighbourhood’s history dates back to 1815 and is one of the most well-known neighbourhoods in the city as it’s filled with vintage shops, great eats, and is the perfect spot to stroll through in the summer (or any season). As I said, the history of this neighbourhood dates back hundreds of years ago. George Denison purchased the area in 1815, along with other parts of Toronto and during the 1880s houses were built for Irish and Scottish immigrant labourers coming to Toronto. 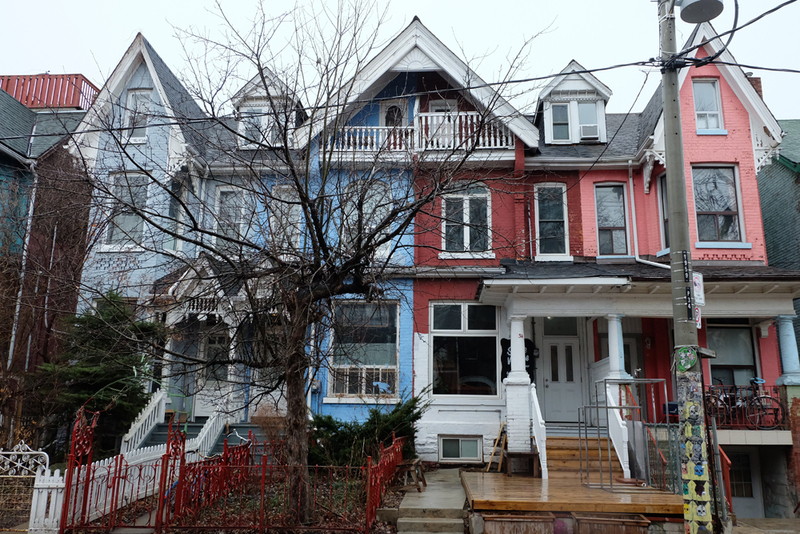 Many of these Victorian houses still stand today along Wales Avenue and are still used as homes, where the houses that are in the core of Kensington Market are mainly occupied by shops and restaurants. What makes this neighbourhood so multi-cultural is the years of immigrants who flocked to it. During the 20th century, the area was populated by eastern European Jewish immigrants and Italians. At the time it became known as the “Jewish Market” as several Jewish merchants operated shops and businesses and over 60,000 Jews lived in and around Kensington Market throughout the 1920s and 1930s. After the Second World War, most of the Jewish population moved to more prosperous neighbourhoods and to the suburbs, and in the 50s a number of immigrants from the Azores were only followed by waves of immigrants from the Caribbean, and East Asia. With new cultures flocking to this area, Kensington completely changed and became more diverse. In the 1960s there were threats of tearing down some of the Victorian architecture and old buildings that make Kensington so special, however, the city’s mayor at the time wouldn’t have any part of that and thankfully didn’t allow this to happen. By the 80s the market had a ton of students due to the close location of George Brown College at the time. In the 90s when the college sold the property, the market lost the student traffic and many stores and businesses were victims of the recession. With the immigrant population aging in the area as well, lots of the store owners were too old to continue operating their shops and the area saw an influx of vacancies. 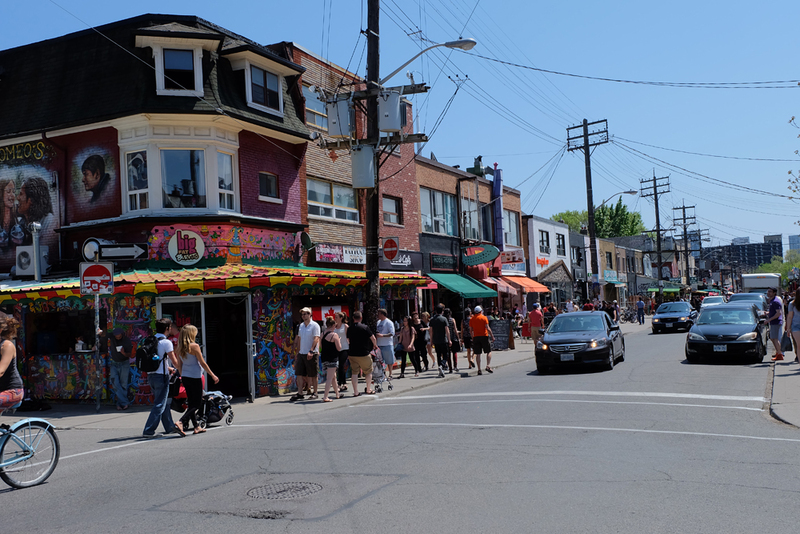 However, this only invited a new wave of immigrants to the area which continued to grow Kensington Market into the cultural hub today which is also a National Historic Site of Canada! 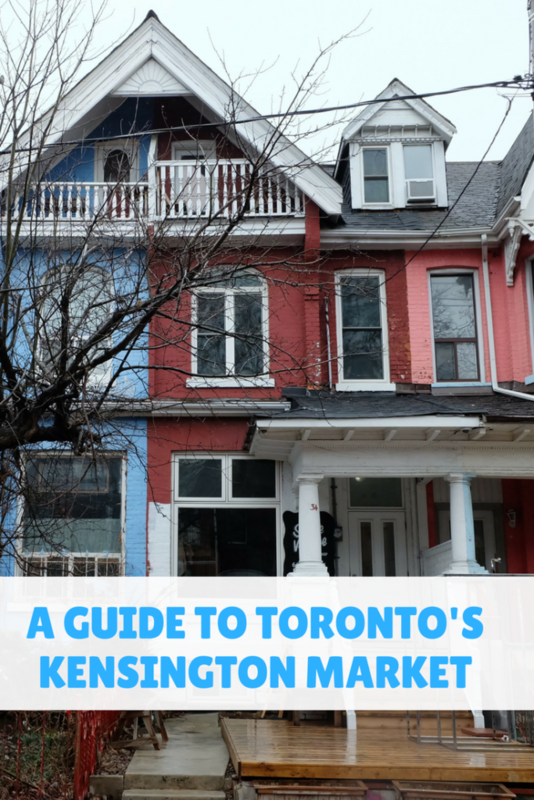 There are a ton of options to get to Kensington because as I said, it’s pretty central. There are four streetcar lines that access the market (Spadina, Bathurst, College, Dundas). You can also drive but parking is very limited, especially on weekends so this obviously isn’t the best option, and of course, if you’re already downtown Toronto, walking is always your best option! The market is open 7 days a week except for Christmas and New years with the best hours to visit being from 11am-7pm. For full details on getting there, click here. Bunner’s Bakeshop: Vegan, gluten-free and traditional bakery. Fan fav for those with dietary restrictions! 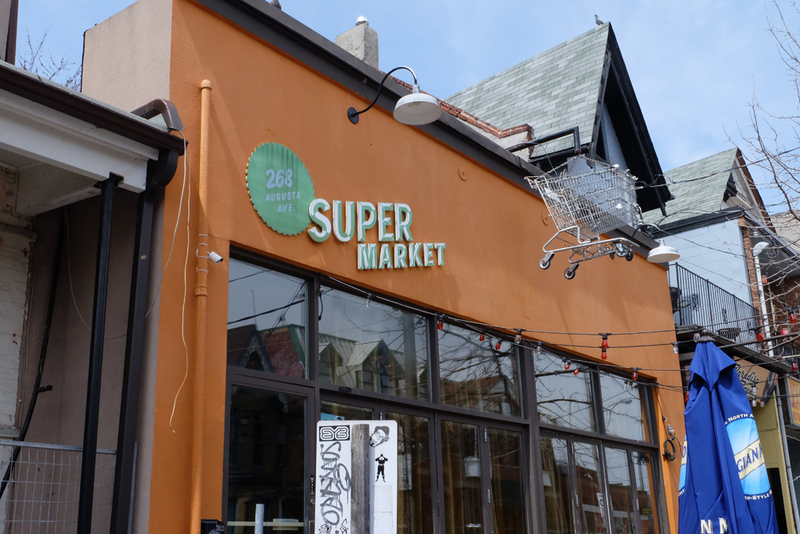 Supermarket: Restaurant and bar that is awesome for a patio beverage and snacks, and equally as awesome when the sun goes down for a party destination. Moo Frites: Serving inexpensive Belgian style fries with a ton of different sauce and topping options. Seven Lives: Cash-only Mexican joint serving some of the city’s fav tacos. Trinity Commons: Super cute restaurant and bar with an unreal craft beer list and unique cocktails. Wanda’s Pie in the Sky: A staple in Kensington for their awesome pie and dessert. Cold Tea: Marked only by a red light over the door, this cash only “hidden” bar is a great spot for drinks after 6pm until 2am every day. 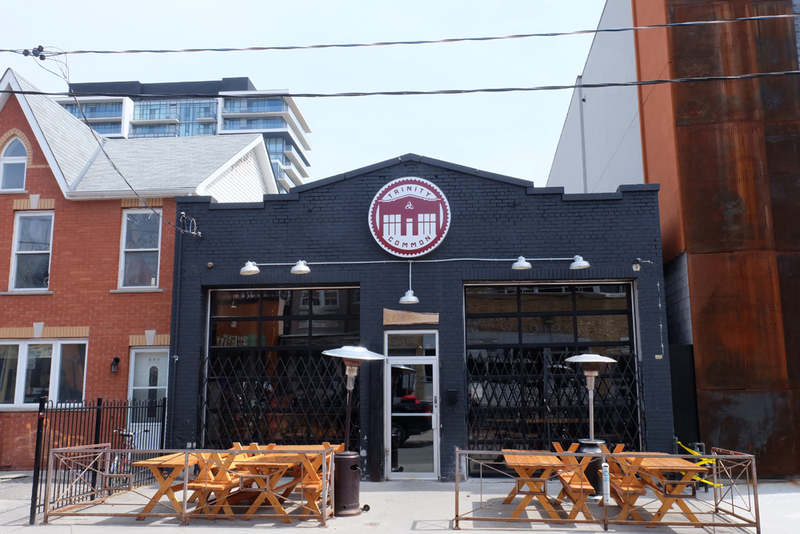 Kensington Brewing: Born in 2011, a great spot to try some local beer that is made right here in Kensington Market. Golden Patty: A favourite spot for Jamaican patties! 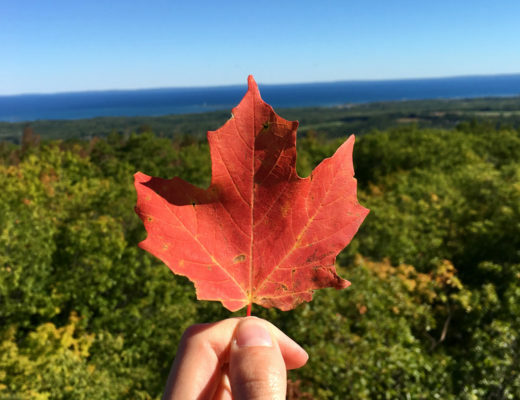 There are a ton of things to do and places to explore in Kensington. 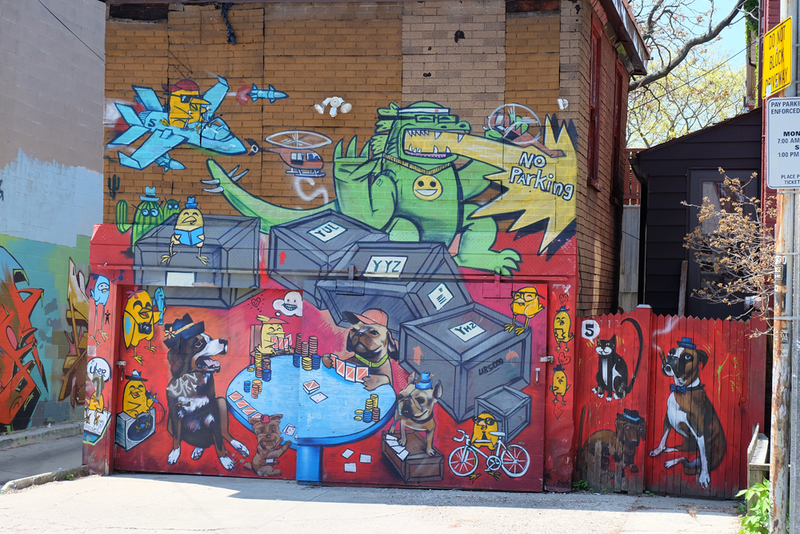 You can roam the alleyways and streets to find some of the city’s best street art. Hit up some of the many vintage shops that line the streets selling all sorts of vintage clothes, antiques, and everything in between. Stop in some of the different grocery and specialty food stores selling everything from herbs and spices, cheap produce, cheese, meat, and everything in between. Visit some of the other shops in Kensington, one of my favs is Blue Banana which is one of those stores that are great to visit if you’re looking for a gift for someone who has everything! I also love Anice Jewellery for their dainty and beautiful handmade jewellery. However, there are so many shops here, you can spend an entire afternoon weaving in and out of them! Kensington, as you can tell, is such a vibrant, colourful neighbourhood with so much to do. 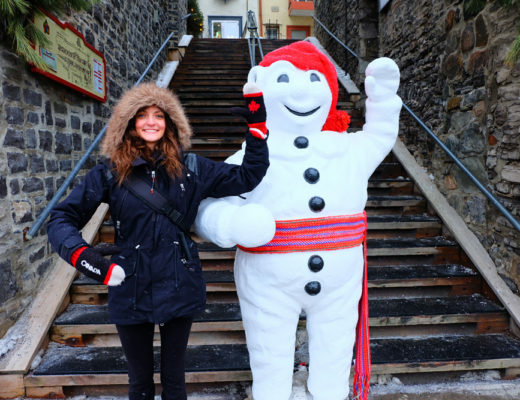 It’s definitely a must-do when visiting the city of Toronto! 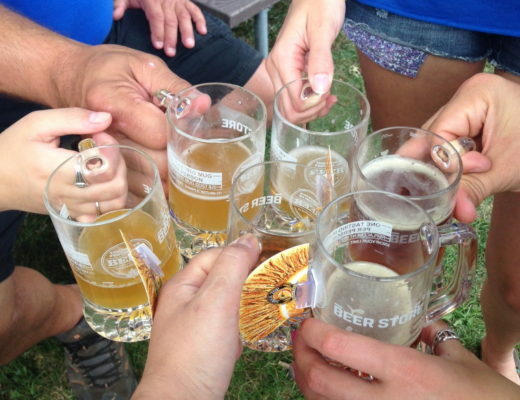 What are some of your fav things in Kensington? Share below in the comments!